Caribbean 27 CRUISER DELUXE. Single or twin Petrol or Diesel Sterndrive/s? twin Outboards? 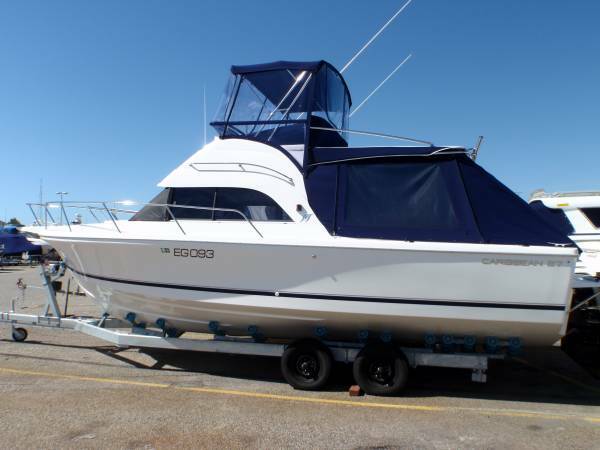 Your choice You will not find a more practical boat than this "BLUE CHIP LEGEND". We have created the perfect family weekender, by customizing the perfectly proportioned and performing Caribbean 27 FBSF. 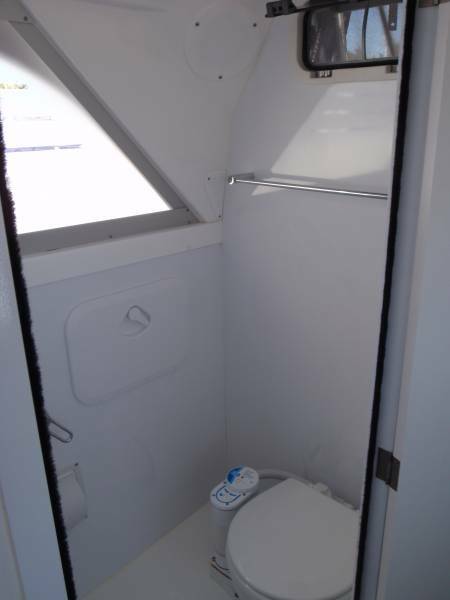 Capitalising on the much loved open bulkhead design by adding a FULL HEIGHT toilet shower module with electric toilet. 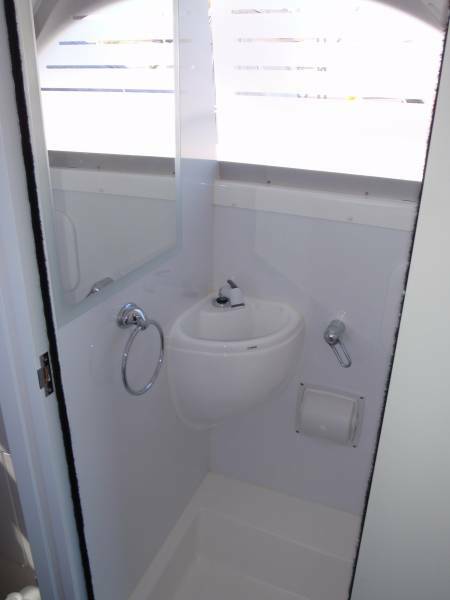 With holding tank, hand basin, hot water system, Digital TV with DVD, whilst deleting the lower driving station. We have created the perfect boat for extended trips away. CARIBBEAN hold the best resale values, prove to stand above other brands in performance and safety at sea and accommodate a wide variation of uses. With a deep V, wide hulls and big cockpit areas, you wont want for space on this boat. 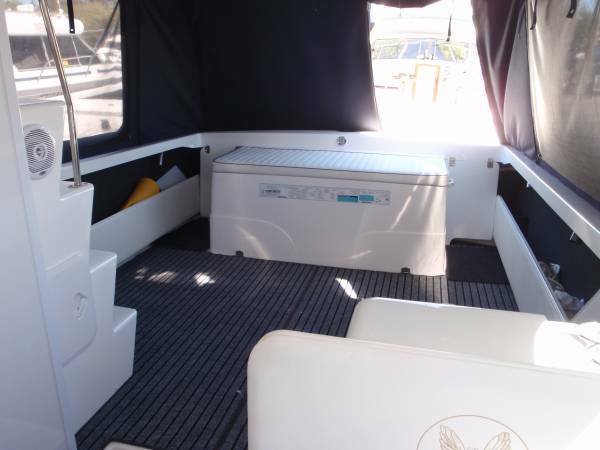 The front cabin has a a convertible V berth that makes a huge double berth with the infill cushion in place. 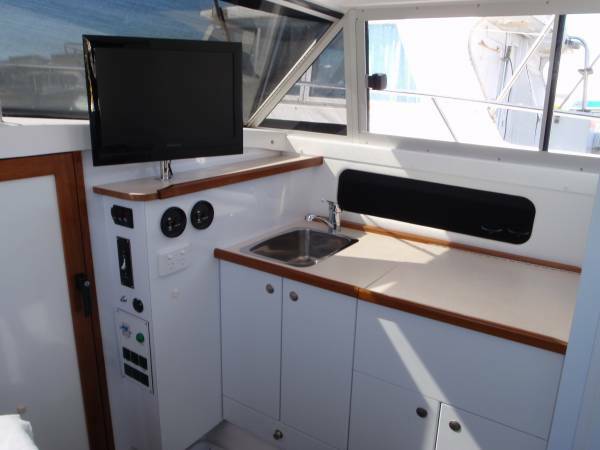 The Port side dinette converts to another small double for the kids, and the engine box is another area that crew love to sleep or sun lounge about on these boats. We can install any configuration of sun awning and canopies you require, colour, height, clear or solid canvas, it is your choice. 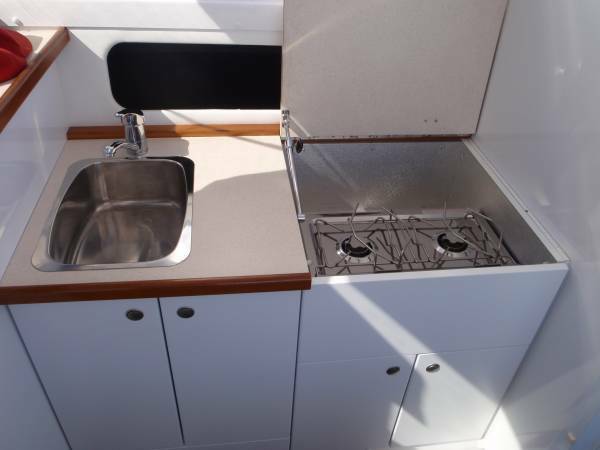 The galley has heaps of storage, a st steel sink and a spirit stove cooker, whilst the large ICE chest on the port side will keep your goodies cold. We can also convert the ice chest to a fridge if required, or there is plenty of deck space to add an Engel or similar. The twin 250HP MPI V6 Mercruisers and Bravo one drives will get you where you want to go fast with a top speed of 38 knots +, or cruise economically at 22 knots sipping just 50 ltrs per hour. We have plenty of these New 27's around in Perth now if you want to check out the options available. Just call us to arrange a private tour or one recently delivered boats. Don't go and buy a toy cabin cruiser that you will grow out of of in 5 minutes and loose thousands of $$ on when you want to sell it! !, save your chiropractic and dentist bills and get into a proven, soft riding thoroughbred boat with plenty of room for your boating ambitions to grow, get into a CARIBBEAN!!! SEE MORE PHOTOS OF THE STANDARD C27's ON OUR OTHER CARIBBEAN 27 LISTINGS. 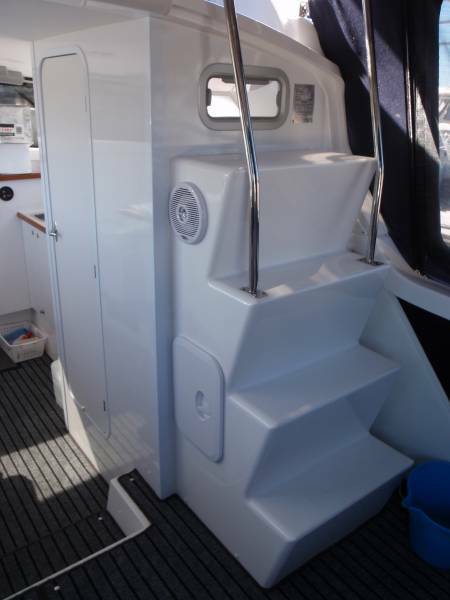 THIS LISTING IS DIRECTED AT THE MANSFIELD MARINE DELUXE OPTIONS ON THIS MODEL. 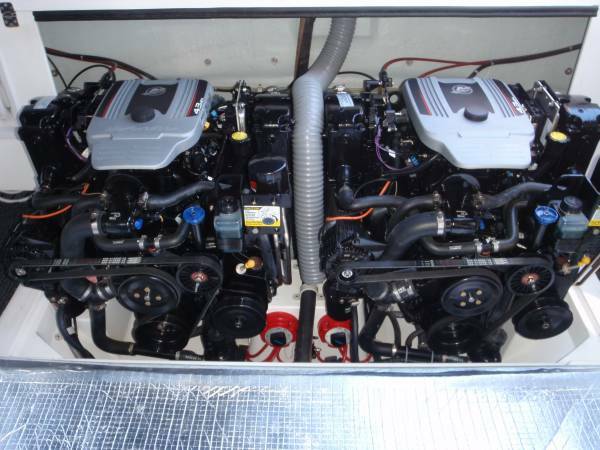 2 x 220HP Mercruiser MPI V6 engines with Alpha 1 drives. 2 on fwd cabin, 2 on convertible dinette, 1 on engine box. 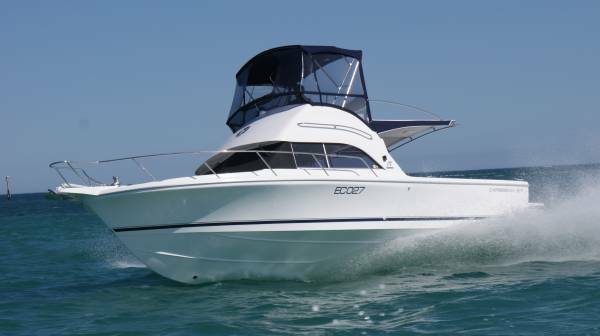 AUSTRALIA'S LONGEST RUNNING, MOST RESPECTED BOAT BUILDER HAS COME UP WITH A PERFECT FAMILY CRUISER IN THE CARIBBEAN 27. 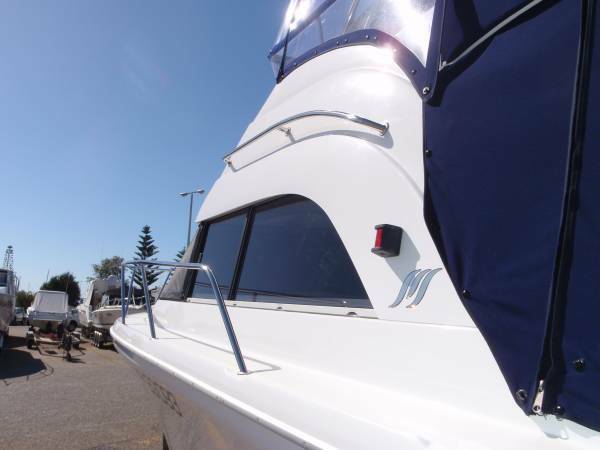 WE AT MANSFIELD MARINE HAVE CUSTOMISED THIS BOAT TO SUIT THE BUYERS NEEDS EVEN MORE. LET US CREATE YOUR DREAM BOAT.